The Walt Disney Company has agreed to acquire Marvel Entertainment in a stock and cash transaction, the companies announced today. Under the deal, Disney will acquire ownership of Marvel including its more than 5,000 Marvel characters. This new deal, however, does not affect the current movie deals that Marvel has set up with Sony and Paramount. Those deals are still in effect, but once they expire, Disney hopes to be the sole distributor of any future Marvel films. FOX today revealed details for the upcoming “Futurama: The Complete Collection 1999-2009” 19-disc set scheduled for release on October 13th from Twentieth Century Fox Home Entertainment. The set includes all 72 episodes, as well as the four feature length adventures – Bender’s Big Score, The Beast With A Billion Backs, Bender’s Game and Into The Wild Green Yonder. 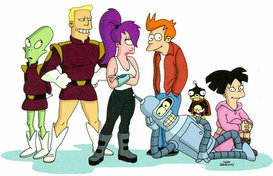 Cancelled after five seasons, an outcry from the fans and the show’s success on DVD helped revive Futurama for four all-new adventures (mentioned above) that debuted on DVD in 2007-2009. Recently the series has been resurrected again for its sixth season set to air on Comedy Central in 2010. This collection is highly collectible, with only 25,000 copies being produced one time ever. It’s packed with bonus materials including a letter from the Futurama creator Matt Groening and producer David X. Cohen, commentary from various cast members, numerous deleted scenes, an interactive still gallery, blooper reels and more. Full specs for all 19 discs, along with a photo of the packaging, after the break. The following short animated film was created by David Forest as his graduation project at the Cegep du Vieux Montreal. He did everything, from storyboards to compositing. Music was done by EntropiK. Pre-production lasted about 8 months, and prod and post-prod took 14 weeks. It won the “Best Short Film” award of his school. Software used: Maya 2008, Adobe CS3 (After Effects, Photoshop, Premiere and Audition), ZBrush 3.1, CrazyBump. In theaters October 23, 2009. The highly anticipated Wallace & Gromit: A Matter of Loaf and Death arrives on DVD Tuesday, September 22, 2009 from Lionsgate and HIT Entertainment. In this new adventure, Wallace and Gromit have opened a new bakery business â€“ Top Bun â€“ but a deadly murderer is targeting all the bakers in town. Wallace couldnâ€™t care â€“ heâ€™s found true love in the shape of Piella Bakewell, former star of the Bake-O-Lite bread commercials. 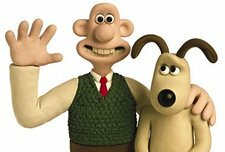 Can Gromit discover the identity of the Cereal Killer before Wallace becomes the next victim? Check out the trailer and DVD cover art after the break. Cartoon Network announced today it will premiere a full slate of 22 all-new episodes for season two of the critically acclaimed and top-rated CG-animated series STAR WARS: The Clone Wars. The special one-hour season two premiere airs Friday, October 2 at 8pm ET/PT. Fierce battles and expanded storylines raise the stakes in STAR WARS: The Clone Wars – Rise of the Bounty Hunters. The lives of the Jedi become more complex as secret and forbidden relationships are revealed and a new breed of villain enters to take advantage of the wartime turmoil. Season two introduces these lawless rogues into the fray along with a host of new characters, locations and creatures. Check out the sixth and final Emmy campaign video in which Family Guy mocks the other nominees in the Best Comedy category. Their final target is Showtime’s Weeds. The folks over at HitFix recently participated in a roundtable discussion with Lee Unkrich, director of next year’s Toy Story 3. The interview touches upon a variety of subjects including whether or not the visual style of Toy Story will carry over to Toy Story 3. Read the rest of the interview at HitFix. 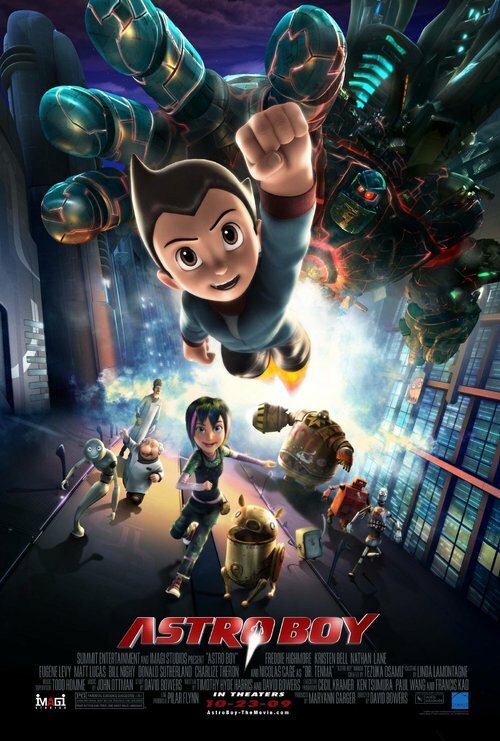 Check out these four TV spots for the upcoming animated film 9, scheduled for theatrical release on 9-9-09. In the video, supervising animator Bruce Smith discusses the character of Dr. Facilier, the villain of the film, and how voice actor Keith David influences the animators work and the characterâ€™s performance.